As discussed in Kirby Ferguson’s documentary, much of modern pop culture is formed from a “remix” of previous works: new works are created by creating a rich collection of references to prior musicians, artists and movie directors. People have become increasingly aware of these remixes, and the vital role they play in fostering creativity. Building a freely accessible cultural commons is a topic of recent widespread interest among several online communities. This groundswell of interest is reflected in the emergence of organizations like the Creative Commons. However, this movement is threatened by traditional intellectual property law, which often places restrictions on how earlier works can be referenced and reused in newer pieces. To deal with this threat to the so-called “remix culture”, groups such as the Creative Commons have employed several strategies. First, they have challenged the existing intellectual property laws in the courts. For example, the litigants in the American Supreme Court case Eldred v. Ashcroft challenged the 1998 extension of the length of copyright protection. Although this particular legal challenge was unsuccessful, this remains a possible avenue for advancing “remix culture”. However, perhaps a more promising approach is simply to advocate the benefits of free culture to the public. For example, Creative Commons has released a set of licenses that encourage liberal re-distribution and re-use terms. 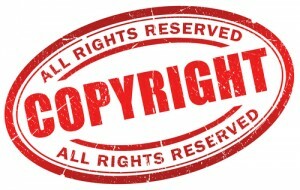 Because the copyright holder can choose the conditions under which their work can be reused, this approach results in more works being released under liberal licenses, without the expense and time required to pursue legal challenges. Finally, new technology such as automated scanners and optical character recognition (OCR) has enabled many old works that are in the public domain to be digitized and distributed more widely. Notable efforts in this area include Project Gutenberg and the Google Books Library Project.